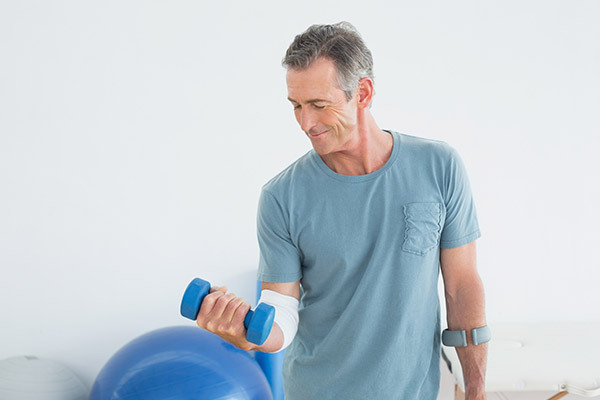 Each procedure involves a different amount of time for recovery and time that you will be required to be in a sling, in a brace or on crutches. Dr. Ali will discuss this with you at the time of your visit. Certain procedures, such as total knee and hip replacements, involve a transitional period in which patients go from the hospital to a rehabilitation center (also called a transitional care unit). Rehabilitation centers have qualified staff members to help administer medications, help patients safely ambulate and undergo physical therapy. A caseworker at the hospital will help facilitate finding a rehabilitation center for each patient who will need rehab. Most surgical procedures will require physical therapy during the recovery period. Dr. Ali will discuss this with you in the office and provide you with any necessary orders for PT. It is recommended that you choose a physical therapy facility that takes your insurance and is also in a convenient location. Some patients will require a short-term stay at a rehabilitation center after surgery for additional help with wound care, ambulation, physical therapy, dressing and bathing. Rehabilitation centers transition patients from their hospital stay until they are well enough to function safely in their own homes. There are several rehabilitation centers central to Advocate Lutheran General Hospital. If necessary, hospital caseworkers will work with you and your family to help facilitate your stay there. Dr. Ali is the Orthopedic Medical Director of Avanti Wellness and Rehabilitation, which is first in the nation to attain Joint Commission Disease-Specific Care Certification for Orthopedics Rehabilitation and Wound Care Programs.